This Slow Cooker Bolognese Sauce is made in the slow cooker so you don’t need to be standing over the stove all day. 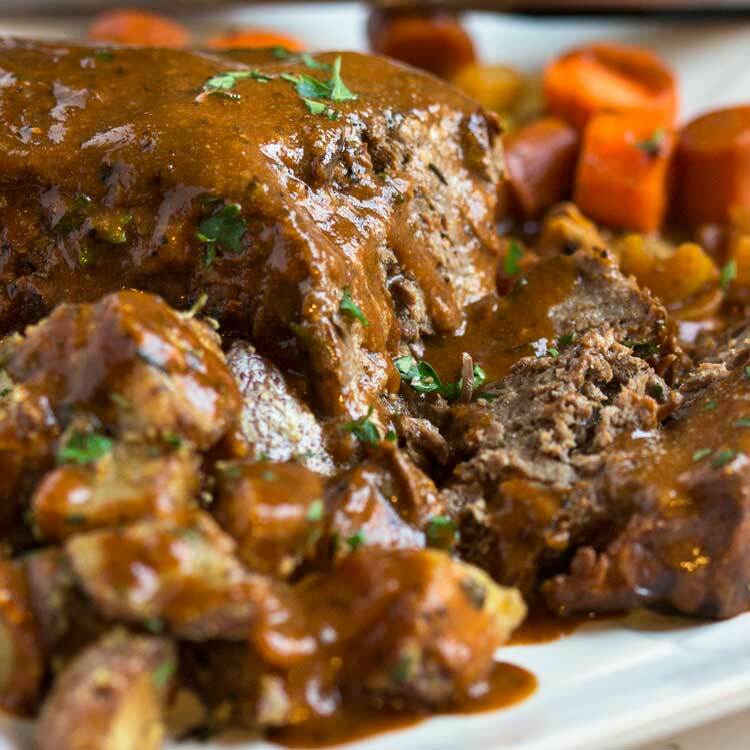 An authentic recipe using a great blend of spices, and let me just say, this is one super meaty sauce. We’re talkin’ ground beef, pork sausage and pancetta. I guess with the season changes and cooler weather it brings out the pasta in me, and the slow cooker. Nothing like coming home to a kitchen with a wonderful aroma! Let the slow cooker do all the heavy lifting and enjoy a supremely flavored bolognese sauce. Look, with the Halloween weekend coming up soon you probably have lots of other things you need to focus on then spending more time than necessary in the kitchen. You have costumes to make, candy to buy, parties to plan and go to. 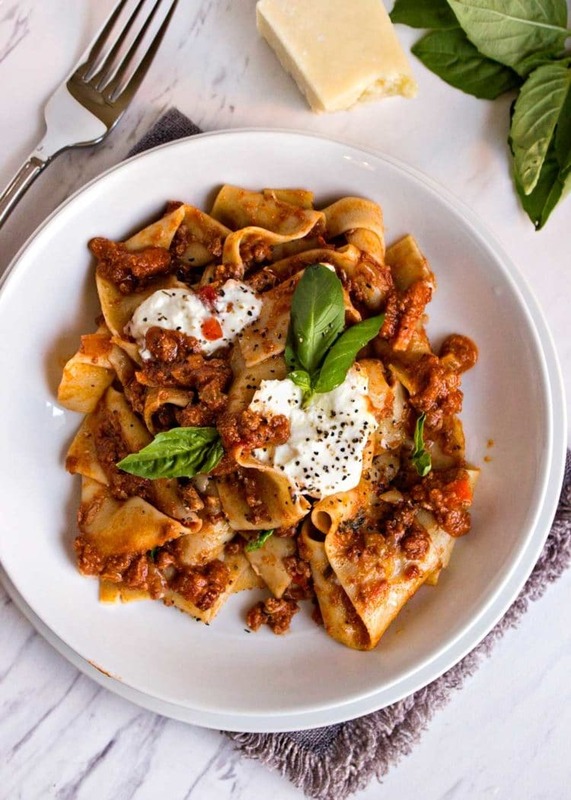 So let me help you out with this Slow Cooker Bolognese Sauce. It all starts with a soffritto. 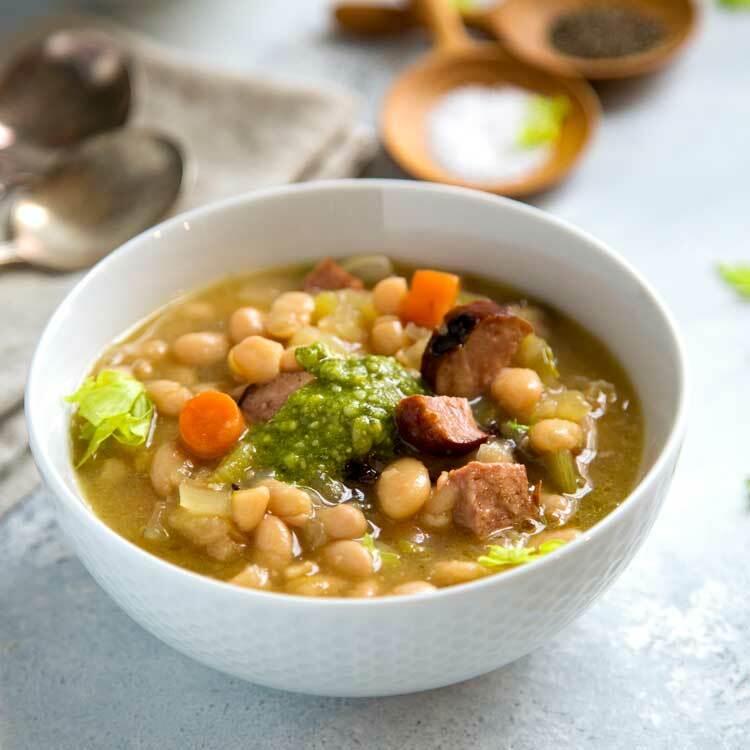 A soffritto is an Italian term for the medley of finely diced vegetables used as the flavor base in sauces, soups, stews, etc. Consisting of carrots, onion and celery, this mixture is a great flavor weapon, and in chunkier form, is called a mirepoix in French cooking. It’s the basis of this sauce and worth the time to set up. Plus, there’s pancetta. Lovely, salty and peppery pancetta. Think of it as the Italian bacon, which is fine to substitute here if you’d like, but try and pick up some pancetta as it is so good. Bacon is basically pork belly that is brined and then smoked. Pancetta is pork belly too, with salt and lots of pepper that gets curled it into a tight roll, and wrapped. Pancetta is cured, but it isn’t smoked. See the difference? 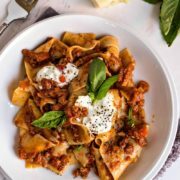 This Slow Cooker Bolognese Sauce also has pork sausage meat, ground beef and a wonderful spice blend made with red pepper flakes, fennel, cloves, bay leaves and thyme. 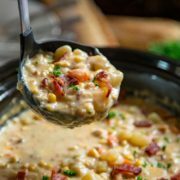 Place all of this along with red wine, and of course tomatoes, in the slow cooker to do all the heavy lifting for you, and allow the flavors to develop. This turns into a thick and meaty ragu. A Bolognese sauce! 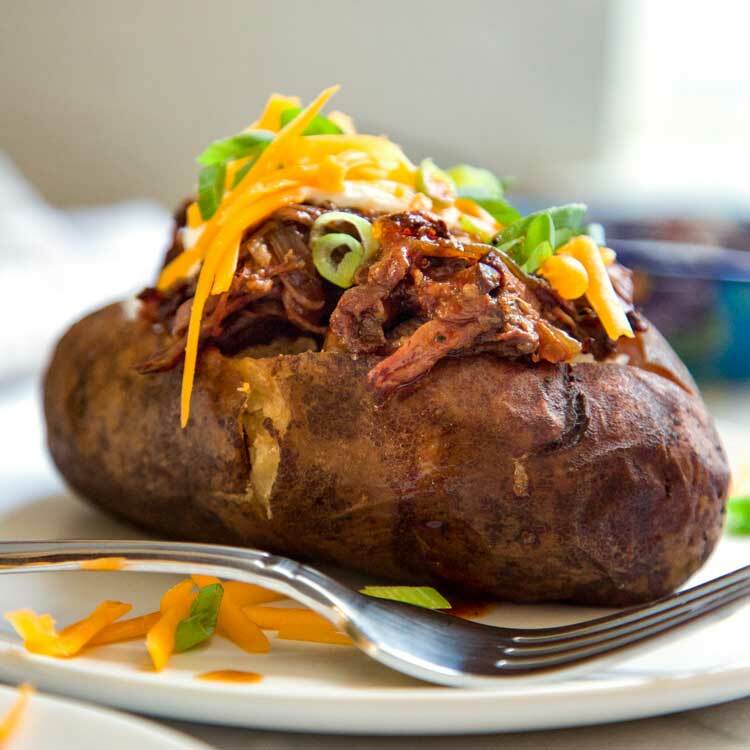 At the 4 hour mark, remove lid of your slow cooker. Stir in the the milk and cook on high setting for 2 hours or until thickened and reduced. 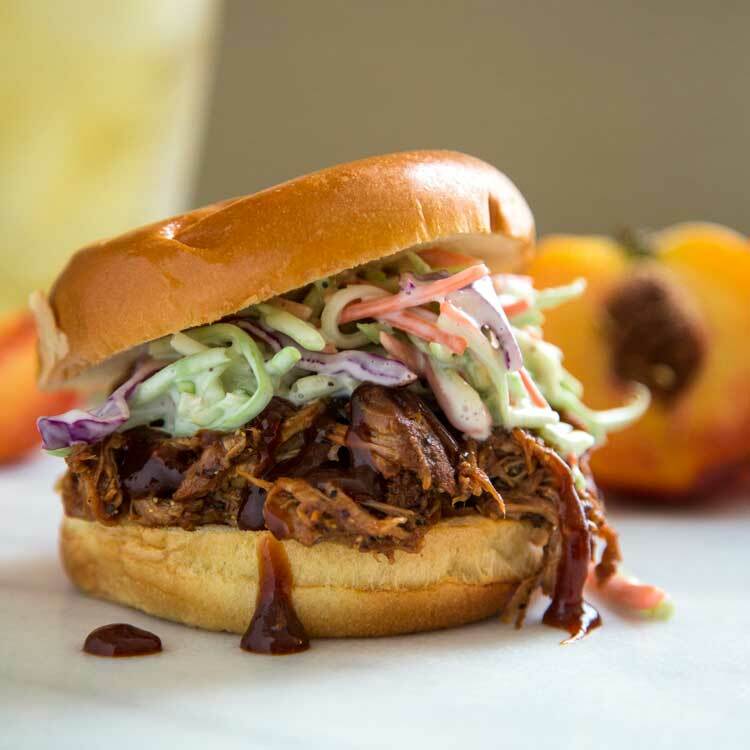 The secret weapon to add at the end is some red wine vinegar. That bit of acid seals the deal for flavor balance. I’ve used a squeeze of lemon sometimes, but think the red wine vinegar works best. Season with salt to taste. In the meantime cook your pasta in a large pot of heavily salted boiling water until al dente. Drain, and reserve 1 cup pasta cooking liquid. This is key to help make the sauce glossy and thicken dues to the pasta starches in the cooking liquid. Toss the pasta and butter in a very large skillet set over medium heat. 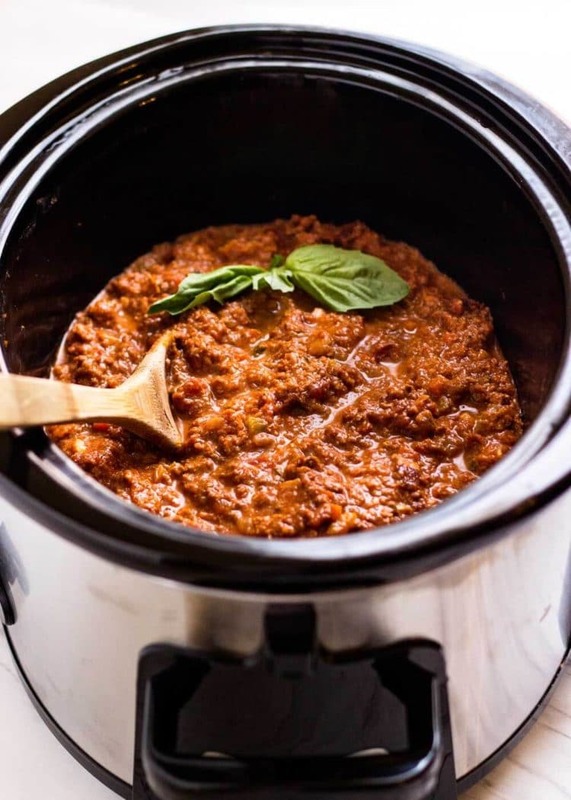 Using a ladle add 2 cups of your Slow Cooker Bolognese to coat pasta and cook, adding some of the pasta cooking liquid as needed, until sauce is thick and glossy. I made some fresh tagliatelle, a thick, long ribboned pasta, perfect for the bolognese sauce to cling to and soak up. Serve topped with a scoop of Burrata cheese (as shown), which is a fresh Italian cheese made from mozzarella and cream just to switch it up and a sprinkle of fresh basil leaves. Feel free to shred some Parmesan cheese on top. Heck use them both! This makes quite a lot. Save balance of bolognese sauce for other use or freeze. I’m thinking spaghetti dinners and a pan of lasagne are in my future. Enjoy! 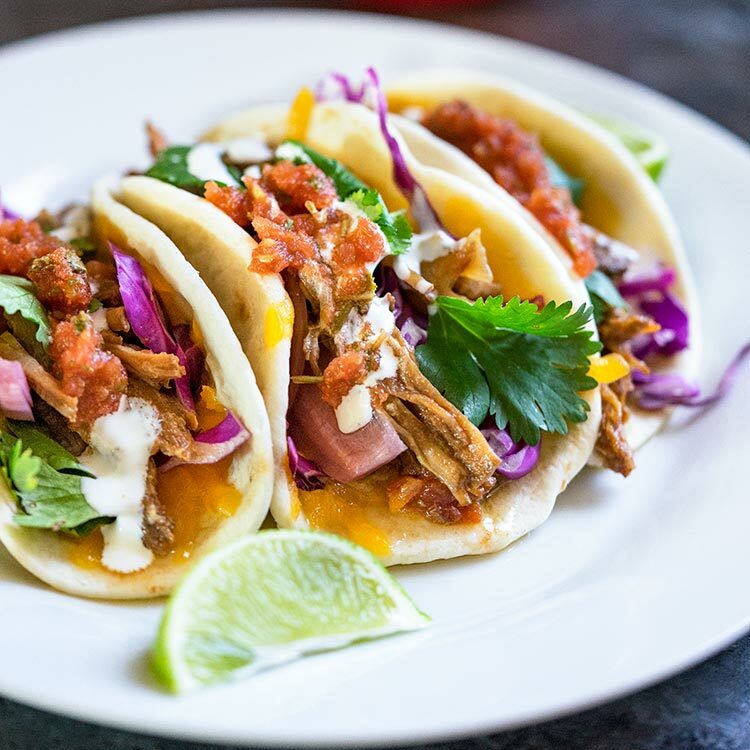 For more Slow Cooker recipes try my Slow Cooker Flank Steak Tacos, Slow Cooker Sweet and Sour Sticky Ribs or my Slow Cooker Ham Bone Soup, too. 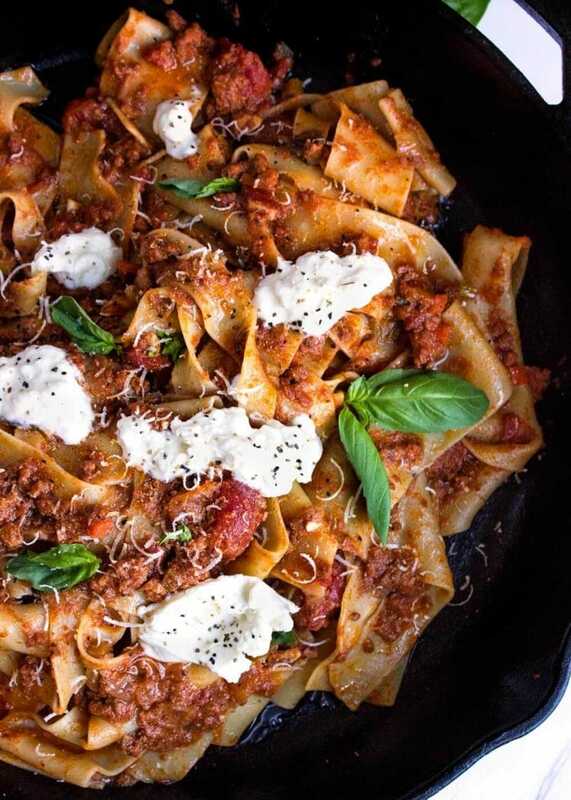 This bolognese recipe makes enough for 8 people or more depending on portions. I've included directions for pasta, but it's only for 4 servings. Save remaining sauce in refrigerator covered, or freeze for later use. Nutrition information is for bolognese sauce only. Blend the cloves, bay leaf, fennel seeds, red pepper flakes, and peppercorns in a spice mill and finely grind. Set aside. 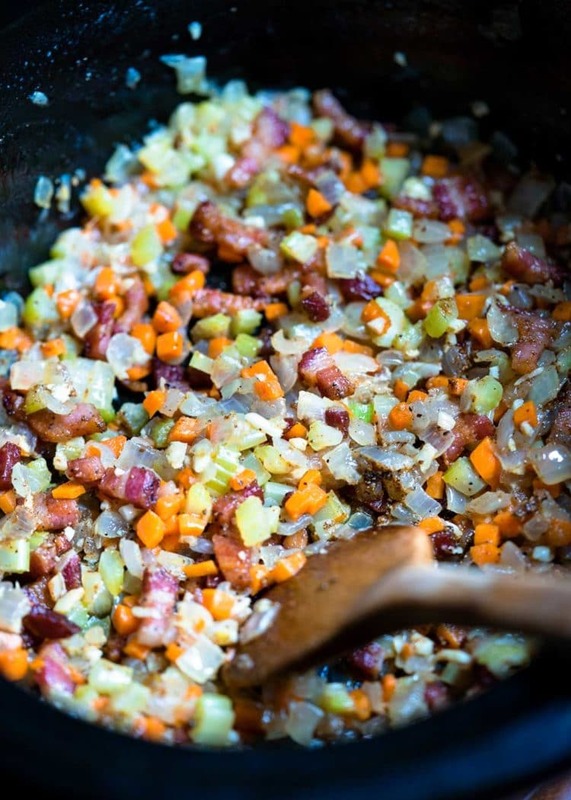 In a large skillet add the cubed pancetta (or bacon) and brown until rendered and crispy. Remove from pan and place on plate lined with paper towel. Set aside. In same skillet remove all but 1 tablespoon of fat and save remaining for other use. Add the onions, carrots, celery and salt, stirring as needed until golden in color, about 5-6 minutes. Add the garlic and stir, cooking another 2 minutes. Add the soffritto vegetables to the slow cooker coated with cooking spray. Stir in the spice mixture, pancetta, ground beef, pork sausage meat, red wine, tomatoes and tomato paste. Stir to incorporate and top with lid. Cook for 4 hours on high setting. At the 4 hour mark, remove lid of slow cooker. Stir in the the milk and cook on high setting for 2 hours or until thickened and reduced. Add the vinegar, stirring to incorporate, and adjust seasoning with salt if needed. Cook pasta in a large pot of boiling heavily salted water, stirring occasionally, until al dente. Drain, reserving 1 cup pasta cooking liquid. Toss pasta and butter in a very large skillet set over medium heat. Using ladle add 2 cups of sauce to coat pasta and cook, adding some of the pasta cooking liquid as needed, until sauce is thick and glossy. Serve topped with a scoop of Burrata (as shown), or shredded Parmesan cheese and fresh basil leaves. Save balance of bolognese sauce for other use or freeze. Best Bolognese sauce recipe ever! I made this on a busy day where I was packing to move but also needed to cook dinner for my parents. 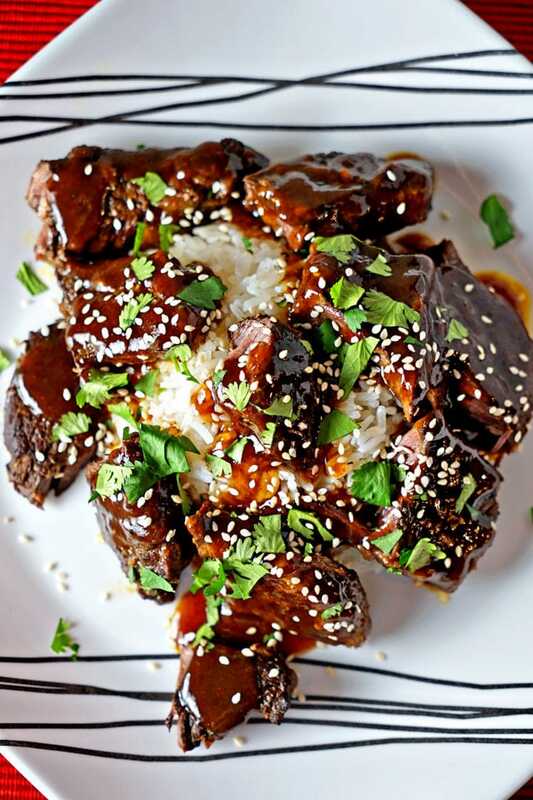 Very easy and it was a hit, packed with flavor. I’ll definitely make it again. I used my Instant Pot on the slow cooker mode and it turned out well. I did turn it on saute mode at the end of cooking to boil off some extra liquid and thicken the sauce since the Instant Pot doesn’t vent as much as a slow cooker does. Wow wow wow!!! So easy and so delicious. This will be made over and over. I might try using some sort of beef roast instead of ground beef next time. I can’t wait! Excellent, love getting comments like this Maureen! Thanks for taking the time to come back and let me know! 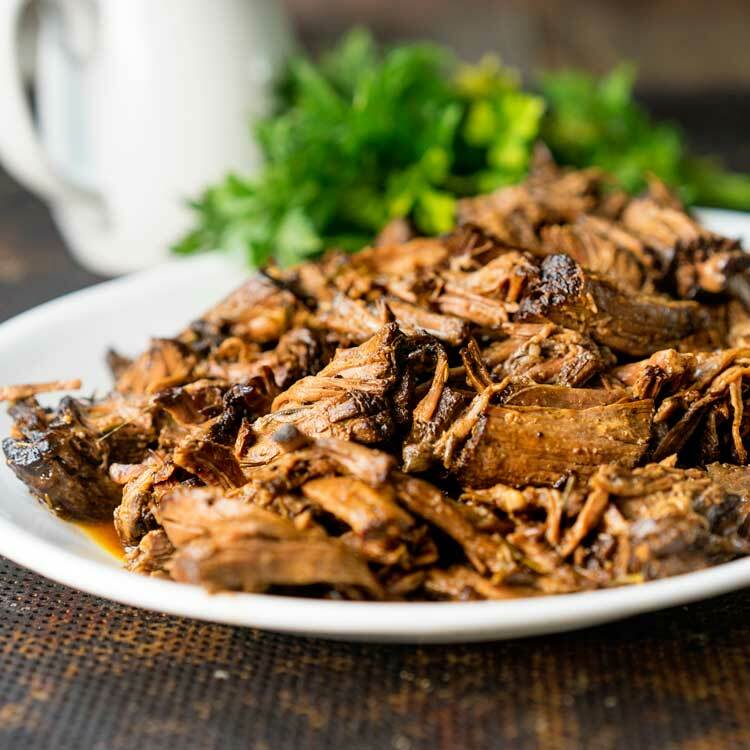 This is in my slow cooker…right now 🙂 and the aroma is amazing. I halved the recipe …do you think that will also cut the cooking time in half? Excellent Elisabet! No I would make as directed. Enjoy!